Jenn is responsible for marketing programs, brand management and community involvement at Brown Insurance Group. She comes to us with 27 years of marketing experience. Owner of a small business herself, Jenn understands the passion about taking care of clients and community service. 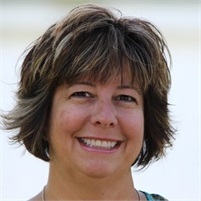 Jenn enjoys volunteering, is an experienced presenter and a NWI Influential Woman of the Year nominee. In her spare time, she enjoys travel, cooking and yoga.